Today's high power engines demand high flow capacity - GROCO SE/SEF Series raw water strainers are up for the job. For installation on the suction side of the plumbing system, and designed with minimal restriction and high flow output in mind, SE/SEF strainers are the ideal solution for large engine cooling needs. SE-4000 has 4" NPT threaded ports. 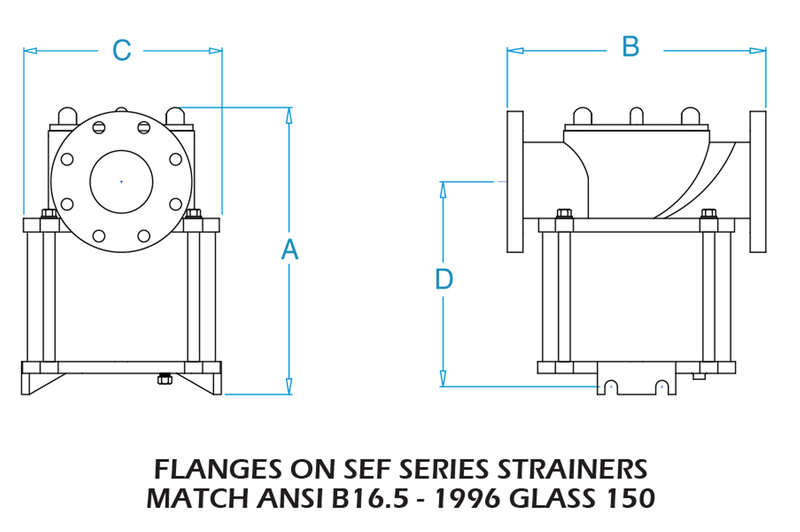 SEF-4000, 5000 and 6000 have ANSI pipe flange conections. The filter basket and screw-on strainer cap have replaceable zinc anodes. For high-powered engines with 4", 5" or 6" intake. Crystal clear cast acrylic sight glass. No inside tie rods. Cover unscrews for easy filter basket cleaning. All models can be converted to HYDROMATIC (self-cleaning) operation. 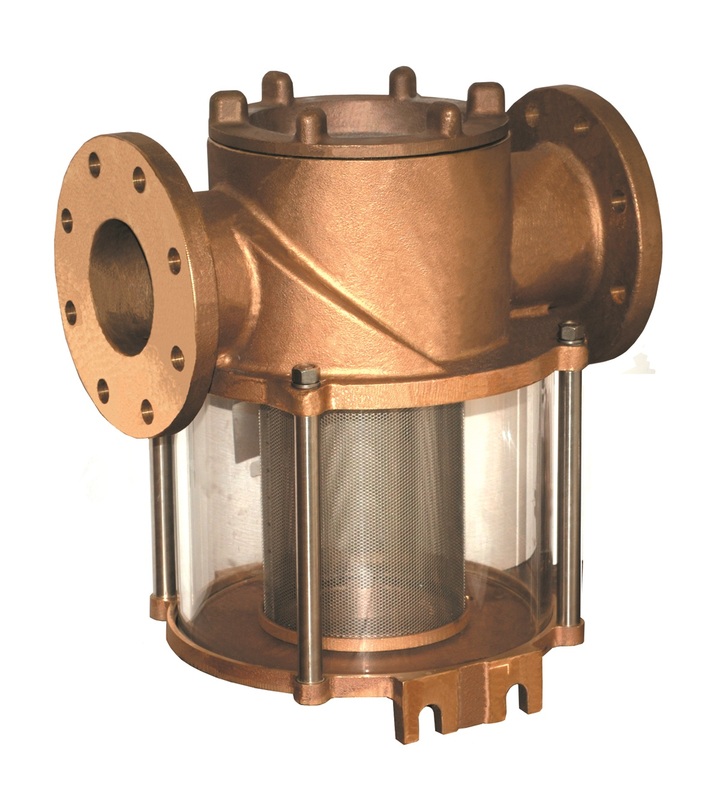 The installation of GROCO SEF or HSEF series strainers (or any other flanged equipment) can be simplified with the use of our bronze flange adaptors. 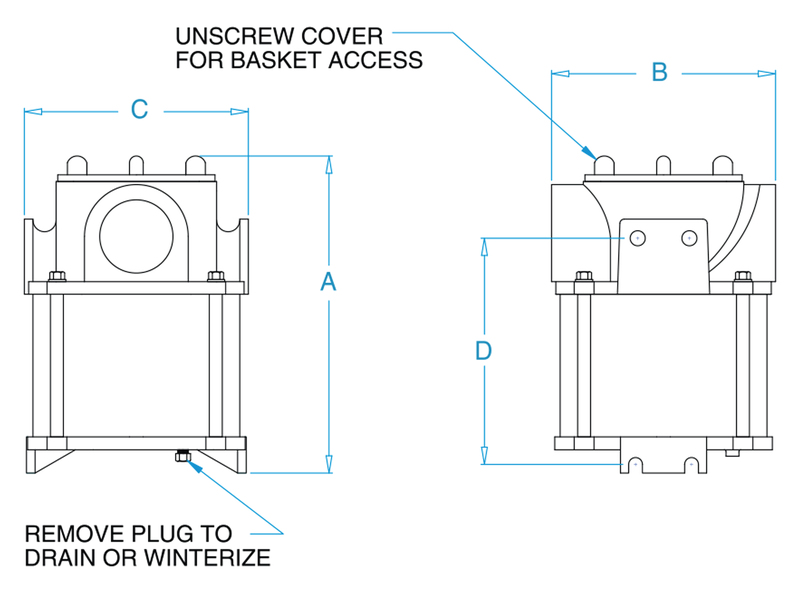 F-Series adaptors match standard strainer flanges while permitting the use of NPT threaded pipe connection or a pipe-to-hose adaptor for hose connection. 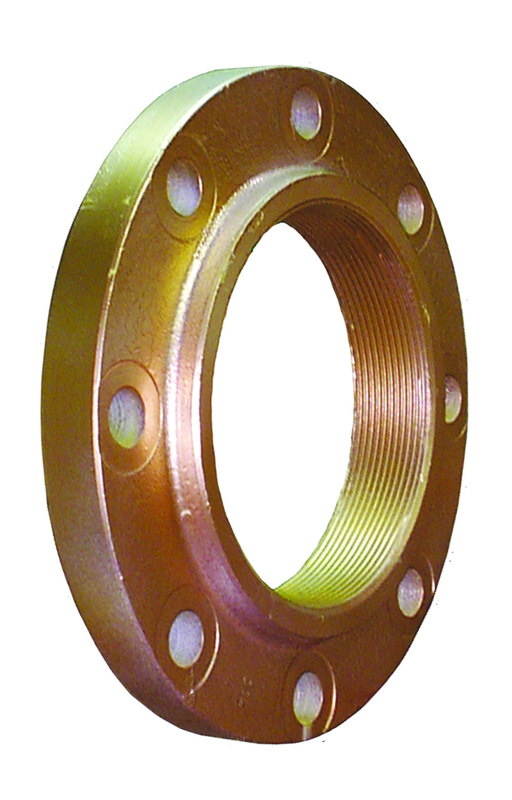 4" (F-4000), 5" (F-5000) and 6" (F-6000) flange adaptors are available.